PR’s biggest challenge through the years has been its ability to link its impact to the success of the business or even to the change of public perception, the heart of its value proposition. An invaluable management tool used to create preference has been commoditized. The game changer for PR would be to find the answer to its most significant challenge: How does public relations become an invaluable management tool for the CEO? I believe the answer to this lies in what I call “the science of persuasion”. We need to put this to work. Let’s break it down. Preference is created when people make a choice consistently for a company, its product or service in comparison to others, which means that they have been persuaded to act in preference to the peers. How does this persuasion happen? Rarely have PR professionals focused on understanding why and how people they want to persuade make choices? How often do we have answers to some crucial questions and by any means these are not exhaustive. What’s important to our stakeholders? What are their concerns? What do they think? What do they feel? What will make them change their mind? What do we need to do? What do we need to say? What are their trusted sources of information? Who do they look for advice? What and Who would they follow? This is where Science comes in. 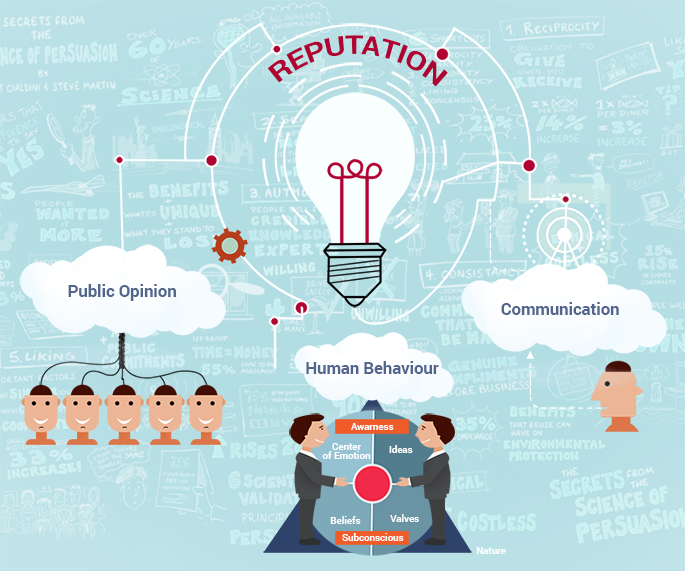 The science of public opinion, – The science of human behaviour and the science of communication. Sadly, PR has neither studied nor invested in the science and is today paying the price for it. It’s ironic that the founding fathers of the profession were behavioural scientists. Persuasion is a combination of actions of a company supported by communications. PR has for too long focused on communications and has little or no role in how the company acts or behaves. I say this from my experience. At Astrum, we have introduced these concepts to our clients and the response has been very encouraging. PR needs new a new approach, rooted in science, to win hearts and minds.